Some of those trees seem to be waltzing across the landscape, and others wear scowls or humorous expressions. I’ve noted trees with amputated limbs or with bellies hacked open (for honey?) while others are burned or felled for farmland. Peer over my shoulder to see a few typical pages of hurried sketches of these areas. Do you have some old paint brushes that are ready for the trash bin? If not, you’ll want to put a few into early retirement if they could be as precious as the ones Karen (Karensamenow) showcased here: TIMEOUT FOR ART 7 . Everyone has the capacity for creating unique works of art. Look at trees or clouds or even paint brushes, tap into your imagination, then smile and have fun! (I’ve been offline most of this week but should be online again tonight!) More soon Z! Brilliant! You know you need a strange type of mind to come up with this … I know because I see the same things. Clouds, trees, leaves, there’s always the shape of something else hidden in them. I’d love to learn to draw. The desert is full of wonderful shapes – I swear Dr. Seuss spent time here before he created his books. And after I learn to draw, I’d like to learn to use colored chalks. i am surprised that you’ve not found comfort in drawing! it’s such a soothing zen sort of activity, especially if you don’t think about what you’re doing.. sort of like doodling but with a bit more attention to lights and darks and slowing down! Yeah Z! So happy to see your tree drawings and your creativity come alive through your pencil. 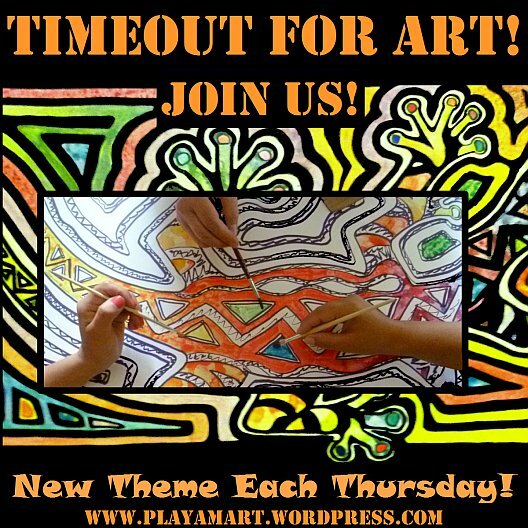 Thank you “Time Out for Art” I wouldn’t be drawing on Thursdays, you’ve made a difference in my artistic endeavors – that means a lot to me. I’m heading over to Mary’s site to check out her blog and drawings. Thanks Z you are an inspiration that is unmatched. it’s a joy to see your drawings and pastels as well. you’re a true master, amiga, though at times you remind me of the beautiful and innocent woman who doesn’t see the beauty (her beauty) that others see! I can see the face and how you came up with it! Lovely! thanks! these forests of trees have hundreds of faces, all full of personality. i would love to one day live in the middle of a village of those trees! Love the sketches. I am one of those tree lovers! My trees are priceless, & I feel they hold wisdom, and much energy! yes, those old trees seem to be watching over us while also hoping that some of us acknowledge the wise elder that most overlook! you are probably like i am – wistful to spend several days just wandering alone with them and marveling in their unique beauty! do you have many big old trees with gnarled roots,trunks and limbs? one of these days i will have to come visit your country and see for myself! They are my favorite trees too! They look like they can walk and talk and there are no two alike! i am glad that this post gave you pleasure! yes, they are marvelous trees, and we are lucky to know and appreciate them!!! An Ent no less 😉 It’s great to see your sketch book along with photographs of the trees themselves. ha! thanks so much, and one of these days i’m going to plant myself in the middle of a little village of these ‘beings’ and see if i emerge with a bit more wisdom!!!! the ceibo, ceiba and boab are all cousins, though the latter is a more-distant cousin! ceiba trichistandra is often seen along the dry rain forest coastal areas in Ecuador. ceiba pentandra is the one often seen in central america. What a beautiful tree! I can see where they seem to have human movement and characteristics! These remind me a bit of the trees we call Ironwood here…very prized for long burning firewood, but very strong and beautiful in nature. Thanks, Lisa! Yes, Lisa, I think you’re right about the Ironwood trees. They are quite beautiful. Grear quote! I’m an arborist, I would love to sit and talk to a tree. I like drawing them also. I don’t draw much other than landscapes. i’m not surprised at all that you sit and talk with the trees! they are our true friends, aren’t they?!!! that comment placed a grand smile on my face, and it’s back again as i review the comments!!!! those trees have been smiling over you for a long time and now are ready to see you smiling back! I wouldn’t be surprised if a tree talked to me. The old ones have witnessed so much. What stories they must have. Mary has undertaken a great challenge with her trees. yes, mary is amazing with her discipline, and she is so very talented! there’s an interesting book, plant spirit medicine, and mr cowan shares the story of how the trees have talked to him…. It’s simply amazing what can evoke thought, and in the most interesting and sometimes opposite directions as no two minds think alike. ja! you are so right… it would be fun to observe a room of artists scribbling their first reactions to basic images and then comparing the ideas! Am I smelling a new workshop in the making? That’s a great idea! I love these trees. Traveling to Manta, we saw communities of them…they were chatting, fighting, and crying among themselves. They reminded me of the Wizard of Oz…like a fantasy world. I wish I could have stopped and taken pictures of them. By the way, we have a faster internet at our house, now. I can’t wait to come home and try it out. Now I know I’m old. No one yet has mentioned the trees in Disney’s “Fantasia”. Oh, those trees haunted my dreams. Yours look much friendlier. William Blake would have loved you. You’ve taken his advice to “see a universe in a grain of sand” to some interesting conclusions here! when i was young, some of my first lessons were from a disney artist.. it’s not surprising that the influence still bleeds through, especially in trees! i called a young architect, ‘grasshopper’ a few years ago, and he had never seen the karate kid! i felt old at that moment…. you’re right. many people mention lord of the rings or ‘shrik’ (have never seen a shrek but many talk about a green shrek tree! my trees would be proud to waltz w/disney’s!!! i smiled when i read your comment last week, and today when i had quiet time to review the comments/post, i really smiled.. i also spotted the elegant gowns/lady options and hope to soon run with that thought with pencil and paper! thanks for sharing your observations! As I was reading your post, this is the quote that came to me. i love paulo coelho and love every quote of his that i see/read! this is a great one and full of depth – so totally paulo, though also totally you! you are so right – so much has happened…. it has been a joy to read every single post/follow your art as what was already strong became even stronger. you are a master…- spoken with a candid honesty! I was thinking about Ecuador and the storms, the sea, earthquakes and taking of life. Who would have ever thought the world would change so quickly and violently. It’s through your art, spirit and generosity that the people respond so kindly and graciously. You are a good friend Lisa, thank you for your continued encouragement, support and compliment – I’ve much to learn on this journey. And now those poor survivors of the flood/avalanche/landslide in Colombia… our earth has been suffering and now it seems that too many people are suffering with her. Thank you, dear Mary. You are a kind and gentle person and are doing your own share of goodness to others. We only just saw this news, very sad – time is not on their side it seems. Amazing how much of a threat the Spring time storms can be in Central and South American countries.